Of all the quirky concoctions and bold brews I have ever tried, one type of beer stands above the rest as my all-time favourite style—and that is the India Pale Ale (IPA). A variant of a standard pale ale, marked by its implementation of pale malt, the IPA is distinguished by its incredible bitterness and floral flavours provided by the liberal application of hops. International Bitterness Units (IBUs) are used to quantify this, and most IPAs have an IBU falling in the range of 50 or so. To put this in perspective, Budweiser, and other lagers generally have an IBU of around 12-15. Of all the IPAs I’ve had the pleasure of drinking three Canadian examples that represent the style particularly well. 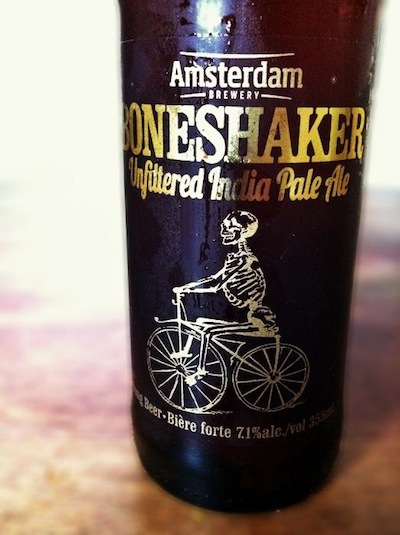 Amsterdam’s Boneshaker IPA: I like a good IPA to beat my palate up a bit, and Boneshaker does this admirably. Quite bitter, and packed with citrus and pine flavours, Boneshaker will wake up taste buds made drowsy by an inundation of boring domestic lagers. It has an IBU of 65, and scores a 91 on RateBeer.com. If you’re interested in a good example of a North American IPA, Boneshaker should serve admirably. A six-pack goes for $12.95 at the LCBO, a good price for this much flavour. 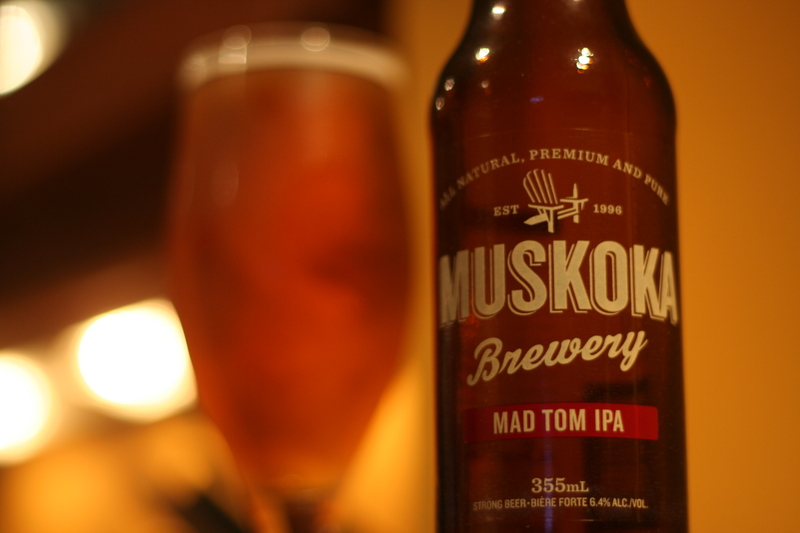 Muskoka Brewery’s Mad Tom IPA: My first thought when I tried this was ‘Wow! That’s refreshing!’ My next thought was, ‘Ow! My tongue hurts!,’ but I mean that in the most flattering way. Quite bitter and fantastically acidic with an IBU of 64, Mad Tom is packed with zesty lemon flavour, and a great ‘spring garden’ floral scent. RateBeer scores it a 97, and it deserves every point. A six-pack is $13.50 at the LCBO. 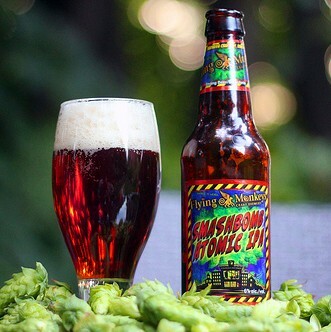 Flying Monkey’s Smashbomb Atomic IPA: This beer is my all-time favourite IPA, and one of my favourite brews in any style. The aroma smells like a cross between an orchid in full bloom, and a pine forest after a storm. The taste packs an acidic, citrusy punch– like sucking on a spiked grapefruit. At 70 IBU, Smashbomb is unapologetically bitter, but it certainly doesn’t hurt its reputation, with RateBeer giving it a score of 98. Prepare your palate for a punch and pick up a pack for 13.95. 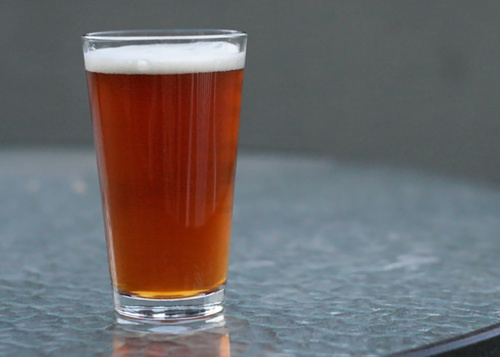 Not for the faint of tongue, these IPA’s are a real treat for the initiated beer drinker. When you need a diversion from the macro-domestics, something to slap you in the face and remind you what a beer really tastes like, reach for an IPA. Just remember to sip it slow—you may very well have no choice, with these bitter bad-asses.